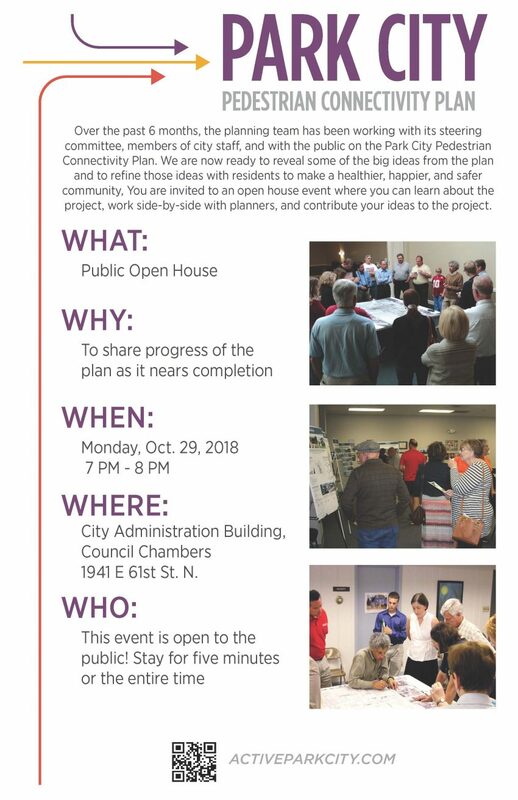 You are invited to the Public Open House on October 29th from 7 pm to 8 pm at the City Administration Building, Council Chambers (1941 E 61st St N). 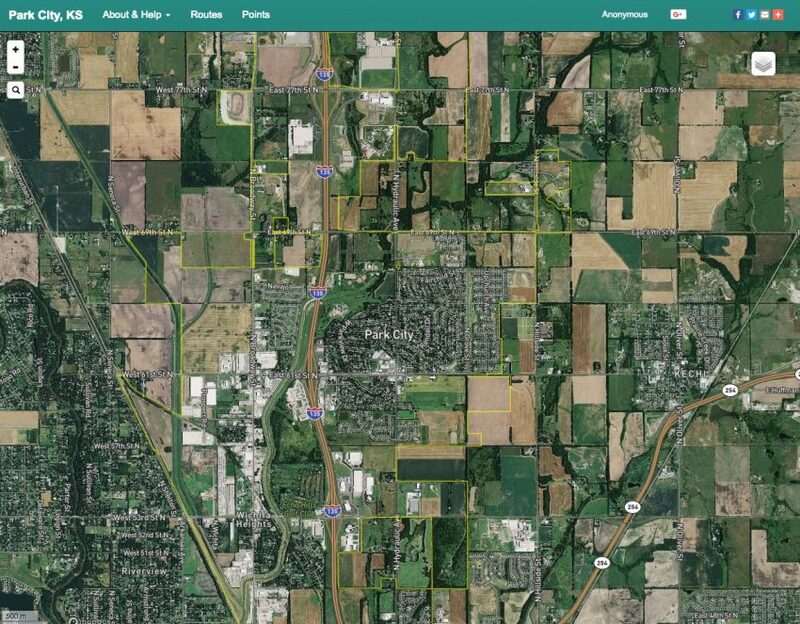 Meet with the planners, see the progress, and add your input as we near completion of the plan. Thanks to everyone who came out to the Public Kick-off! The event had great attendance, and there were a lot of good ideas shared. 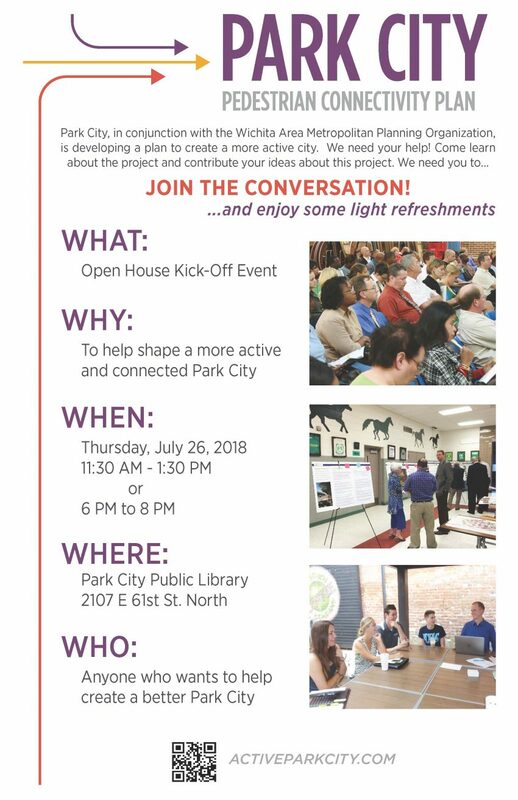 We're very excited to be working with the city and those who live here on the Park City Connectivity Plan, and the excitement from the event attendees is a testament that the city is ready for these changes. We're looking forward to continuing with this project. We need your input to make Park City more comfortable to navigate on foot and by bicycle. The process begins with you! 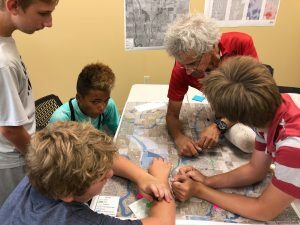 The Park City Pedestrian Connectivity Plan is just getting started! Do you like to walk around town, push kids in a stroller, or wish sidewalks led somewhere? Do you like to bike around town? Park City is listening. Learn about the project and contribute your ideas!